Experience over 20 years of photography! 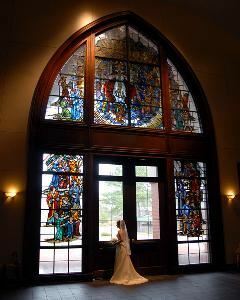 Birmingham Alabama wedding photographer, Robert Norris, specializes in wedding photography around the southeast. We are a full service photography studio specializing in wedding photography. One of the south's most experienced wedding teams offering a mix of photojournalistic as well as traditional styles. Travel is available to your destination wedding location. Our studio is located in Hoover, a suburb of Birmingham, Alabama. We also include Tuscaloosa Alabama as well as Auburn Alabama in our local coverage area. Our facilities include both indoor and outdoor settings. Whether your needs include Wedding, Portrait, Public Relations, Model, Dance, or Pageant photography, we can handle the job.